Ready to play all your favorite PSP games on your Android smartphone? Well, right now you can't, but it looks like the PPSSPP emulator might make that possible one day. As the name suggests, it emulates the hardware of Sony's well-known portable game console. Unfortunately, it is still at an early stage of its development, which is why no PSP games are fully compatible at this time. Some titles, however, are considered playable, according to the developer of PPSSPP. 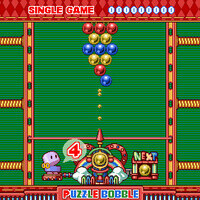 Puzzle Bobble Deluxe and Pinball Fantasies can be played, as long as you don't mind the glitches that are yet to be ironed out. 3D games are also mostly a no-go, and the great majority of other titles will not take you much further than their main screen. Still, if you are a die-hard PSP fan, keep an eye out for more reliable versions of PPSSPP. Also, you can grab version 0.2 of the emulator from the Play store and give it a try. ROMs, however, you'll have to find yourself. 5 years from now I'll be lying in a couch playing gears of war 3 on my "super phone". True. Looking at GTA3 Anniversary edition i'd agree. Yet i'd still play it with a joystick on the cosole or PC. I couldn't bring myself to play GTA 3 on handhelds since it didn't feel good with on screen controls. dualshock 3 has bluetooth connectivity.. does it pair with bluetooth enabled devices? I doubt it. Drivers would be an issue. Match this with the Archos Gamepad, sweet.